Cannabis also known as marijuana is a very popular recreational drugs. However, driving under the influence of marijuana should be strictly avoided. According to the United Nations it is the most used illicit substance in the planet. One of the key marijuana facts is that like other drugs it also has many side effects .One such effect is that it hampers one’s driving. Cannabis contains THC which gives people a high. The level of THC present in Cannabis differs from product to product. The THC content in Canadian marijuana is very high. It is even greater than its Latin American counterparts which are generally considered the best marijuana available. The cannabinoids present in marijuana are said to affect one’s reflexes. Which effect one’s driving skills. Many studies conducted have shown that this is a fact regarding marijuana use. One faces problem in driving when one is under the influence of alcohol as it is an intoxicating substance. Cannabis too is intoxicating and the chances of accidents increase when one is high on cannabis. It is a marijuana fact that intake of marijuana adversely affects human performance, specially one’s driving skills. Various studies have been undertaken to find the effects of marijuana use on driving. One famous study regarding this was conducted by United Kingdom’s Transit Research Laboratory or TRL. 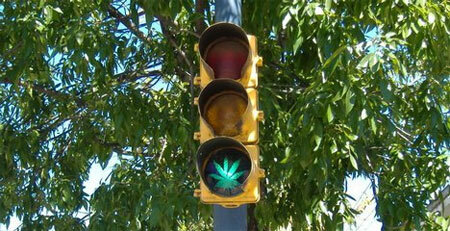 It is considered to be an authoritative report on cannabis and driving. It made very important findings. The researchers found that people under the influence of Cannabis lacked attention, took longer time to take decisions drove too closely or t too tight along a curve. They were also less relaxed while driving and clocked lesser average speed than normal people. The following distance was also greater. Some other studies regarding cannabis and driving have shown that it reduces eye- hand coordination , decision making powers ,perception regarding time and distance and vigilance. It does affect one’s performance. Reckless driving is thus one of the effects of marijuana used. The risks of accidents also increase when one is under the influence of cannabis. Around 4-12% of fatal accidents show the influence of cannabis. The situation gets worse when cannabis intake is accompanied by alcohol. In studies under taken in Australia 11% of the mortally injured drivers were under the influence of cannabis. Studies conducted in Canada have also shown similar results .However the rate of accident is less in this case than in case of driving under the influence of alcohol. But studies have also pointed out that after alcohol cannabis is the drug that is most commonly found in drivers who have met with an accident .Thus it is a marijuana fact that cannabis impairs driving. 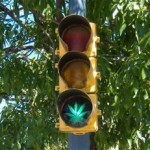 Some other studies have shown that the effect of marijuana use in driving is not very significant. Cannabis drivers are more cautious while driving. While the average speed decreases it does not lead to a significant increase in the number of accidents. These studies however do not deny that cannabis affects one’s vigilance and reflexes. One significant reason for this finding may be the fact that it is more difficult to detect marijuana use than alcohol use. Moreover research in this field is quite few when compared with research regarding alcohol and driving. However one cannot deny that cannabis does affect one’s driving capacities. So ,it is advisable not to drive when one is under the influence of cannabis or any other intoxicating substance. This entry was posted on Friday, April 22nd, 2011 at 21:45	and is filed under Read, Science. You can follow any comments to this entry through the RSS 2.0 feed. You can leave a comment, or trackback from your own site. Subsequently, driving, operating substantial hardware or security touchy movement ought to be kept away from if conceivable. In the case of utilizing cannabis day by day, resistance may create and there might be insignificant impedance. In any case, this does not mean it is sheltered to drive. You ought not to drive to the point that you end up plainly acquainted with the impact of the cannabis. Thank you for writing a long article about this problem. User should stay at home or in one place after using it, they might harm other people in bad day. I read many people saw illusion that leaded to kill his friends. Be careful, people!! Several other studies have shown that the effect of marijuana on the driver is not too high. Cannabis – Trebils very well at the sickness. If the average wind increases, there is no significant number of numbers. However, these studies do not indicate that cannabis influences the reaction. An important reason for this explanation is that it is harder to use marijuana as the alcoholic beverage.